The Alto Alentejo is a joy and considered by the National Geographic Magazine as one of the best places to visit in the world! Virtually unknown, its rich rolling landscape covered with groves of cork, chestnut and olive trees and carpeted in spring with wild flowers is a treat to walk through. 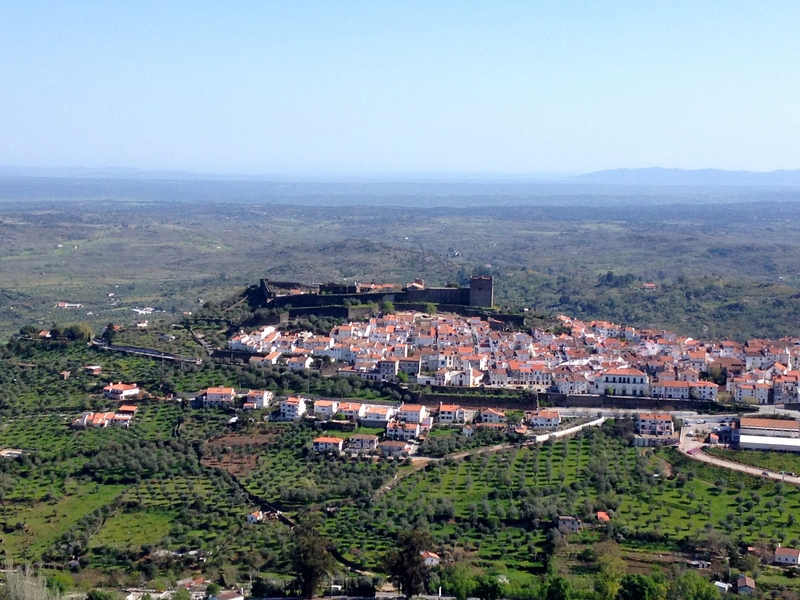 Situated on the Portuguese – Spanish border in the Serra de Sao Mamede, the fortress towns of Castelo de Vide and Marvão remain almost unchanged since the Middle Ages, their castles are magnificent monuments to former bloody battles. This group walk will allow us time to explore the true beauty of the area before moving south to the medieval village of Alendroal with its brooding castle. 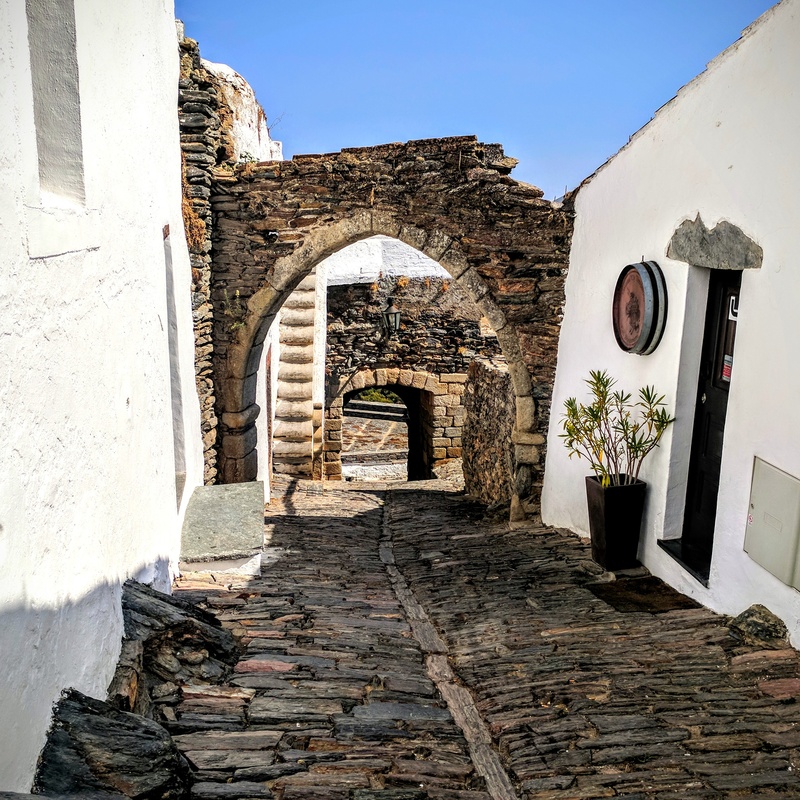 The countryside here is very different and we will along side the Lucefit lake and also to the spectacular walled town of Monsaraz with its famous bull ring. Day 1. Transfer from Faro or Evora to Marvao (Evora is easily reached by bus from Lisbon). Overnight Marvao. Day 2. A walk in the amazing countryside below Marvao, where we have time to step over the border into Spain. We eat lunch in the shade of the trees by the river before walking through an ancient landscape following goat tracks, 12km. Overnight Marvao. Day 3. A walk close to Reguengo where the countryside is a mixture of ridges and peaks, escarpments and hills; very beautiful with stunning views over the plains towards Lisbon, 14km. Overnight Marvao. Day 4. A walk in the ancient countryside to the north of the historical town of Castelo de Vide where traditional farming is still practised. Afterwards we will visit the magnificent castle of Castelo de Vide and the beautiful old Jewish quarter, home to the oldest synagogue in Portugal, 12km. Overnight Marvao. Day 5. A leisurely day as we drive to Alendroal, stopping for lunch in the historical town of Estremoz, with time to visit the old palace. After lunch we have a tour of one of the best Alentejo wineries and a tasting of some of the wines. Overnight Alendroal. Day 6. Today we will walk from the village of Terena through its traditional countryside to Hortinhas and then north to the Lucefecit river gorge and dam. 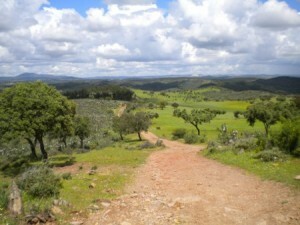 On the hill tops we will discover ancient castles and in the valleys wild birds and flowers, 13km. Overnight Alendroal. Day 7. A walk to the west of Monsaraz through olive groves and ancient scenery before climbing gently up to visit this famous village. From here we will drive to the tiny village of Sao Pedro do Corval which has more than 20 pottery workshops and we will visit at least one, 12km. Overnight Alendroal. Day 8.Transfer back to the Algarve or to Evora to catch the bus to Lisbon. 7 nights accommodation in a twin –bedded room with en-suite facilities, 4 nights in Marvao at a small hotel next to the famous castle and 3 nights at a comfortable Quinta in the village of Terena . Transport to and from Faro or Evora by minibus. Transfer to and from all the walks and movement of luggage during the week. Visit to winery and tastings.